Discussion in 'Classic Muppets' started by MuppetShow123, Feb 8, 2012. Which do you prefer??? Personally, I hope they'll release them both on DVD at the same time! Even though Season 4 contains many of my favourite Muppet Show episodes and moments (Muppet Awards with Phyllis George; murder mystery with Liza Minelli; Gonzo's departure-and-return with Lola Folana; Dudley Moore's music machine; and great guest-star turns from John Denver, Kenny Rogers, Anne Murray, Doug Henning and Dyan Cannon), I have to give the nod, however slight, to Season 5. It seemed like Jim Henson and company were determined to finish the show on a high and indeed they did, right down to the subtle but welcome tweaks at each episode's beginning (Pops welcoming the guest stars to the theatre; Statler and Waldorf's "Why do we always come here" verse in an extended opening theme song) and the end (Lips' trumpet part in the closing theme). The writers and producers also came up with some wonderfully creative plotlines without sacrificing the basic formula (Carol Burnett blowing a gasket at Gonzo's dance marathon; "pirate" Glenda Jackson kidnapping the theatre and sailing it out to sea; Statler and Waldorf running the show, and botching it, during Hal Linden's visit; Johnny Cash's guest-star turn being simulcast on a country radio station; shrinking-and-growing Brooke Shields in the title role of Alice in Wonderland; Marty Feldman's twisted take on the Arabian Nights, ending with that amazing cameo by the Sesame Street cast). 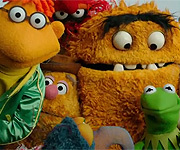 Season 5 is also awesome because of episodes where the Muppets made the best of a bad situation (series writer Chris Langham's last-minute subbing for Richard Pryor) and delivered one of the funniest meta-Muppet sequences of all time when Gonzo, attempting to figure out puppetry in the Senor Wences episode, declared that "wiggling dolls is WEIRD!" before walking away, leaving Kermit to break the fourth wall and deliver the beautiful, classic line: "I didn't have the heart to tell him." In terms of DVD releases, I'd consider Season 4 to be a victory at this point but I'd love it if Season 5 came out simultaneously - I know my wife and I will treasure both for years to come. Muppet fan 123, DramaQueenMokey and panmanthe2nd like this. Yes, it would be great if both were released at the same time. However, I'll be happy if they just release season 4 for the time being. I'm so ready for both seasons to be released! They are WAY over due! I just hope Disney will add some awesome and rare extras along with them. I'm hoping that when 'The Muppets' comes out on DVD it will have a preview for season 4. I doubt they release both at one time...that would be a near miracle...or an act of God! LOL! They do need to strike while the iron is hot...with the new movie and everything. Also, I know this will NEVER happen because of the sheer abundance of it but I would kill for Sesame Street season sets. Me too! I know it's super unlikely, but I hope it happens one day. 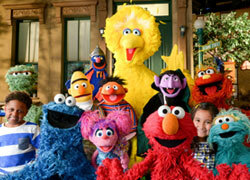 Muppets movie, Caper, Wizard of Oz, Treasure Island and all three seasons got new editions. Not much new in the extras department just the seasons went from box sets to standard DVD's with four discs which I personally prefer. I've seen the new editions of Treasure Island and Great Muppet Caper in my local shops, and saw a photo of the new edition of The Muppet Movie online (love the 'new' old cover for that one, but the old Sony cover is even better), but haven't been able to see any of the other new editions. If you do have any of them and could post photos, that would great! I'm half hoping that the new edition of Season 1 is complete, but I guess it's unlikely. I have Treasure Island, Muppet Movie and the first two seasons. They're good editions to have the episodes and stuff. Would it be possible for you to post photos of Seasons 1 and 2 here when you have a moment? And does Season 1 have unedited episodes? I just want them to be released! I like season 5 better. There's so many great stuff from this season... The introduction of Lips (as well as Pops), the best version of the opening (the first version I saw parts of, in The Secrets of the Muppets), the best version of the closing theme (which I'd heard on the Playhouse Video compilations, before I'd seen any actual episodes), Rizzo starts to be used more (after being introduced late in the previous season), Gaffer appears frequently (after being seen twice the previous season), and such great episodes as the ones with Gene Kelly, Loretta Switt, Shirley Bassey, Brooke Shields, Marty Feldman, and Linda Ronstadt. One of the few things about the last season I see as a fault, but am really just nitpicking about, is that this season seemed to have too many themed episodes and episodes where backstage issues affected the on-stage acts. I don't have a big problem with it, but I feel they could have done a little less with it. But with it being their last season and the fact that the writers initially only thought they'd be able to come up with three years worth of material, I wonder if doing all these theme/gimmicky episodes was a way to help prevent them from running out of ideas. I've mentioned this a few times recently, but I feel like the fifth season was under-represented in the Playhouse Video compilations. There are a few that heavily feature fifth season material, though it seems the ones with the most season 5 clips have multiple related clips from the same episodes (whether related by backstage plot or multiple clips with the same guest stars). Though I've noticed that some of the videos under-represent other seasons (only two season 1 clips in Rock Music with the Muppets, only two season 4 clips in Muppet Weird Stuff), and by my count at least 19 season 5 episodes are represented in some way over the course of the ten videos. But I wonder if the under-representation is due to many season 5 episodes having so many "connected" segments (which may or may not look weird without other segments or backstage clips). Though it seems the somewhat limited representation of season 5 on the Playhouse Videos is a lot better than the representation of season 1 on the It's the Muppets and Very Best of The Muppet Show releases. Interestingly, when it comes to sketches that are "connected", the first two volumes of The Very Best of The Muppet Show contain the Vets Hospital and Pigs in Space segments from the Gene Kelly episode. Wouldn't it make more sense to include them both on the same tape, since the Pigs in Space one directly mentions that the announcer fell in Vets Hospital? But while I like season 5 better, I really want season 4 to come first, as it should (but if they are having trouble clearing rights then by all means release season 5 first!). I've noticed that compared to other seasons season 4 doesn't introduce very many new characters, but it does have many instances of introducing one-shot/rarely-seen characters who are NOT made from whatnot patterns but being their own puppet. So maybe they had planned on putting Geri and the Attrics in more episodes, but it's a little odd they made new puppets for characters like MAMMA (well, thy couldn't make a robot from a whatnot), Angus McGonacle, and the Devil, yet those characters hardly appeared again, I'm not sure if they intended on bringing them back.